The Calgary Flames bolstered their attempt to become a Stanley Cup contender with an offseason full of change. No addition was bigger than forward James Neal, who has played in the Stanley Cup Final the past two seasons, with the Nashville Predators in 2017 and the Vegas Golden Knights in 2018. 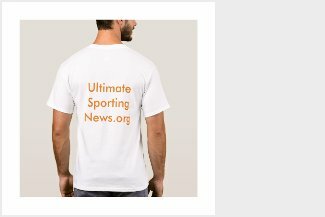 "For me, I want to win," Neal said after signing a five-year contract with an average annual value of $5.75 million July 2. "I've been really close the last few years to winning a Stanley Cup. Once you get a taste, you want more. We have great goaltending in [Mike Smith], and we have great guys up front and a good [defense] corps. I feel like we're really close to winning, and for me, I hope I can be that little piece that they've been missing." Neal had 44 points (25 goals, 19 assists) in 71 games with Vegas and has scored at least 21 goals in each of his first 10 NHL seasons. He could join center Sean Monahan and forward Johnny Gaudreau on Calgary's first line. Gaudreau had an NHL career-high 84 points (24 goals, 60 assists) last season, and Monahan tied his NHL best with 31 goals despite missing the final seven games of the season because of injuries that required wrist, groin and two hernia surgeries. Forward Elias Lindholm is another option to play with Gaudreau and Monahan. Lindholm was acquired with defenseman Noah Hanifin in a trade from the Carolina Hurricanes on June 23 for defenseman Dougie Hamilton, forward Micheal Ferland and defenseman prospect Adam Fox. That trade came two months to the day after the Flames hired Bill Peters as coach. Peters, who coached the Hurricanes the past four seasons, replaced Glen Gulutzan, who was fired April 17 after Calgary went 37-35-10 and missed the Stanley Cup Playoffs for the second time in three seasons. The Flames added another former member of the Hurricanes when they signed forward Derek Ryan to a three-year, $9.375 contract July 1. 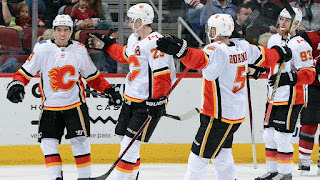 "I think we're deeper than we were at the end of the year, but it comes down to the individual performance and collective performance," Calgary general manager Brad Treliving said. "It's the execution. That's what the whole game is about, is how well you can execute, how well, hopefully, you can find chemistry. "We need people to play to their potential. We need to max out. We need to execute. That's the difference in teams that look good on paper and teams that look good on the ice." It will be up to Peters to help shape the Flames' revamped lineup into a consistent playoff contender. "You don't change for the sake of having change," Treliving said. "I felt that we needed to have some change this year. Obviously, we weren't happy with the way things went last year. You don't want to just be different. You're trying to make yourself better. You try to be aggressive to see if you can pursue some things. "Sometimes you try to do some things and sometimes it just doesn't fall in line or fall your way. We were able to get some stuff accomplished this summer, and we think we've improved our team. Time will tell. We felt it was time to be active."